As the mobile app industry steps into 2019, the post-dividend era signifies that mobile market has already reached a saturation point. Everyday, there are thousands of new apps listed on app stores, the competitiveness has become even fiercer. The whole industry is consistently looking for new marketing and product breakthroughs, meanwhile forging an optimum business cycle. As the mobile economy forging ahead, the whole industry picture has gone through drastic changes: In the US, shares of mobile advertising has already surpassed that of TV advertising. eMarketer estimates that the total sum of global mobile advertising will reach 232.34 billion dollars in 2019, and will account for 50% of the overall advertising budget in 2020. 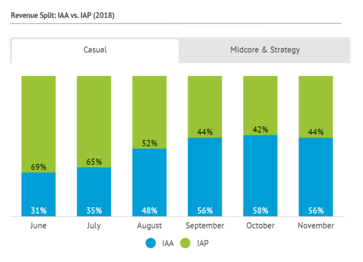 App Annie forecasts that 60% of mobile apps will adopt IAA (In-app advertising) in 2019. Thus, mobile advertising is becoming a prominent player in the mobile Internet business model, also an inevitable development path in the future. Development of mobile apps and in-app advertising is in the threshold for the next decade. In matured markets, super apps may hardly appear again. The threshold is getting higher to get user satisfaction; yet there are still more players joining the arena, and emulate experience in matured markets into developing ones, thereby driving the development of mobile app economy. 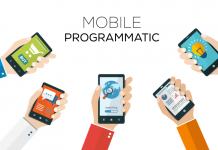 How should the mobile advertising industry react facing the overall eco-systematic changes? In today’s article, AdTiming will observe from multiple perspectives and share 3 development trends for the mobile advertising industry in 2019. In today’s Internet, user media consumption has become a sweetie pie that all IT companies craving for. Yet, users tend to have lower tolerance on low-quality information, especially mobile users. We may find that casual games and short-video apps are becoming the phenomena these days. It is a tricky task to achieve advertising success as users are becoming less tolerant. There’s no doubt revolutionary ad creativity is the key. Static display ads and ad feeds are less attractive to users. 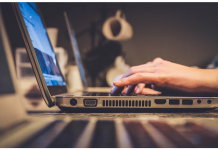 It is unlikely that users are willing to have any interest to interact with advertisers through banner ads. 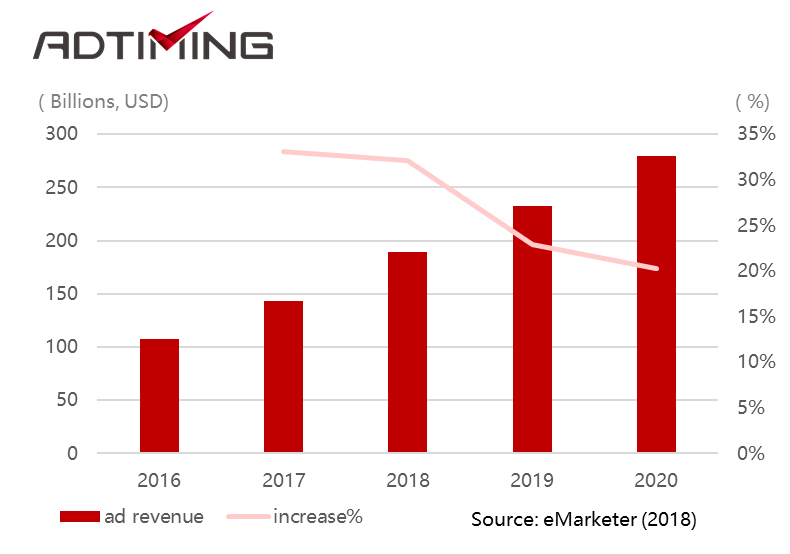 Since the first half of 2018, rewarded video ad gradually evolved as the standard format in game developers’ advertising and monetization process. 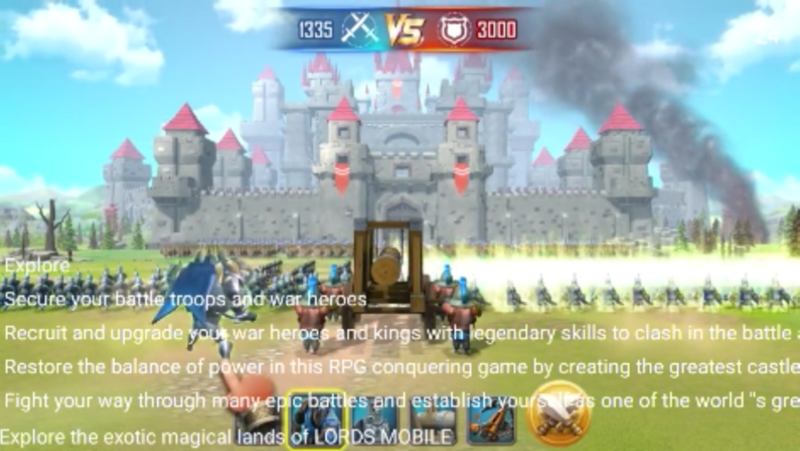 Moreover, playable ad is also in the spotlight. The most impressive data is that causal games’ ad placement CTR hiked more than 37% by adopting playable ads. In this dynamic mobile world, attractive and innovative ad formats are clearly ascending as a crucial criterion for mobile marketing. In 2019, more video and interactive ad formats will be applied in mobile advertising. Cohering to this trend, AdTiming launched the ad creative center, Creative Timing. The newly launched center supports all mainstream formats including playable, rewarded video, and native, etc. Besides, Creative Timing provides an exclusive format-enhancing gadget, AdMuing, which is an ingenious open-sourced tool that automatically fetch positive app comments from app store, and projects comments on video ads to formulate “live-comment” style video. This inventive “live-comment” format is more favored by young users. According to actual advertising data, AdMuing had shown significant increase on game apps’ eCPM, especially for strategy, casual and puzzle games, whereas the rise is more than 10%. As the mobile Internet becomes more pervasive, entertainment and payment apps will be market’s future darlings. 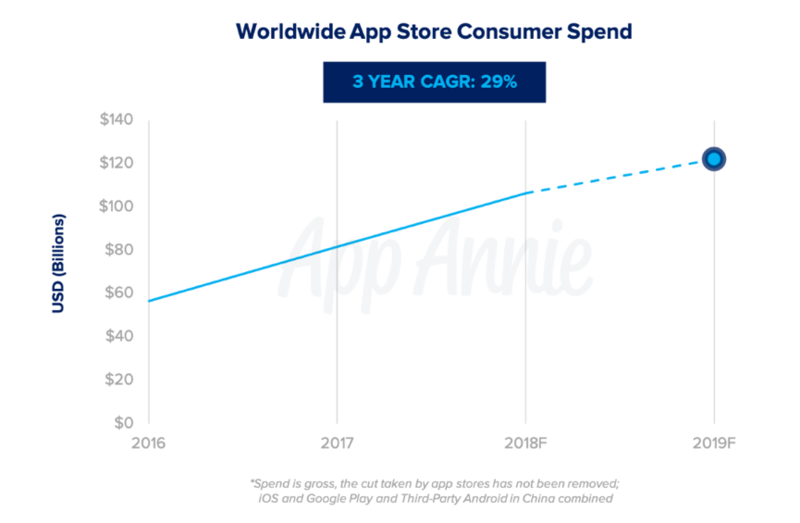 According to App Annie, worldwide app store consumer spend will grow 5x as fast as the overall global economy in 2019. Meanwhile, Total time spent in video streaming apps per device will grow by 110% (over 75 minutes) from 2016 to 2019. Global consumer spend in Entertainment apps will grow 520%. In short, regardless of advertising or monetization, service towards gaming, entertainment, and e-commerce apps will be the main theme of 2019. In an advertising perspective, the whole industry was stumbling in 2018, whereas the traffic purchase costs continue to hike up. It is expected the obstacles will prolong in 2019. Yet, still 79% of advertisers will increase their digital advertising budget, and the increase is expected to be 20%. Most advertisers state that they are putting more budget on social media and video streaming apps. For monetization, App Annie forecasts App Store Consumer Spend Will Surpass $122B in 2019, albeit games will represent nearly 75% of total consumer spend. These numbers mostly come from IAP and IAA. 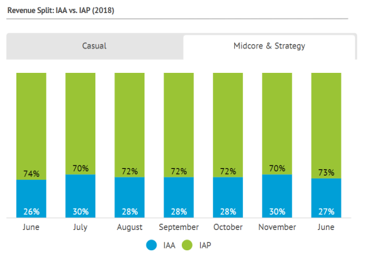 According to latest data from AppsFlyer, the ratio of IAA and IAP for casual games is 6:4, whereas for mid-core and strategy games, 70% of income are still from IAP. Such ratio will remain for a period of time. In the coming year, we will see more hyper-casual games adopt IAA as their business model. It is certain that IAA will bring more revenue to app developers. 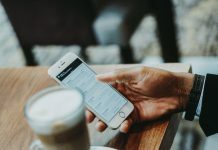 App Annie estimates 60% More Apps Will Monetize Through In-App Advertising in 2019, vying for a Piece of the $250B Digital Advertising Market, this will intensify competition and differentiation among advertising networks. As for monetization, developers need ad networks to provide them real-time insights and report, transparent ads, and better strategy advice. 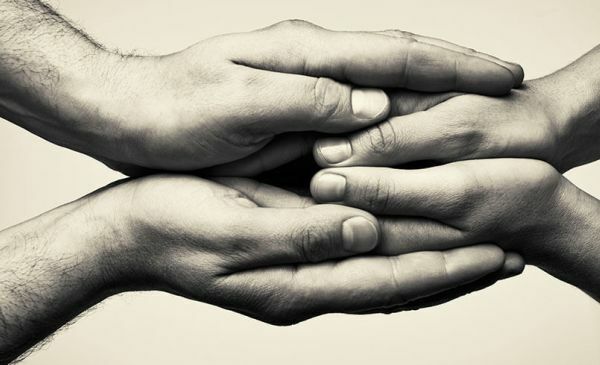 The most critical factor is that developers need partners that can uplift their revenue. Advertising or monetization, developers have higher demands on the refined operation. Mobile advertising market has long bid farewell to the era “Traffic Behemoth”, only the platforms that fulfill the developer’s need for refined operation will dominate the future market. Therefore, although Goliath like Facebook and Google provides 60% ad inventory, Google only ranked 7th among monetization service provider. Market share is gradually shifting to SSP platforms. The situation is similar in China. Benefiting from the development of programmatic advertising, more SME marketing platform are vying a piece from the market where BAT (Baidu, Alibaba, Tencent) occupied 80% of the market. First, provide professional monetization for developers and assist developers to solve problems in the business process, hence achieve maximized advertising revenue. Developers may focus more on product design. Secondly, advertising platforms should offer refined service. 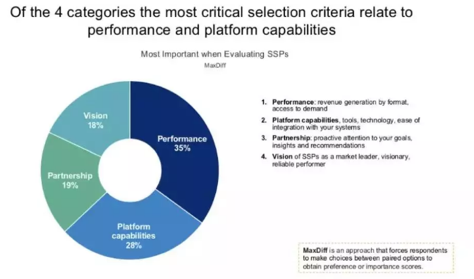 The refinement indicates more refined user segmentation, more precise targeting, deeper and more detailed insights, and report, and customized services that compatible with developer’s needs. Lastly, advertising platforms should be creative, design adequate ad formats according to products or ad placement, vigorously innovate new ad formats, balance user experience and revenue. Alizay Mark is Social Media Manager at adoww.com as well as a passionate blogger, she likes to express her views via blog and is a music lover. She has been blogging since 2017 and has contributed a number of great articles to the internet.